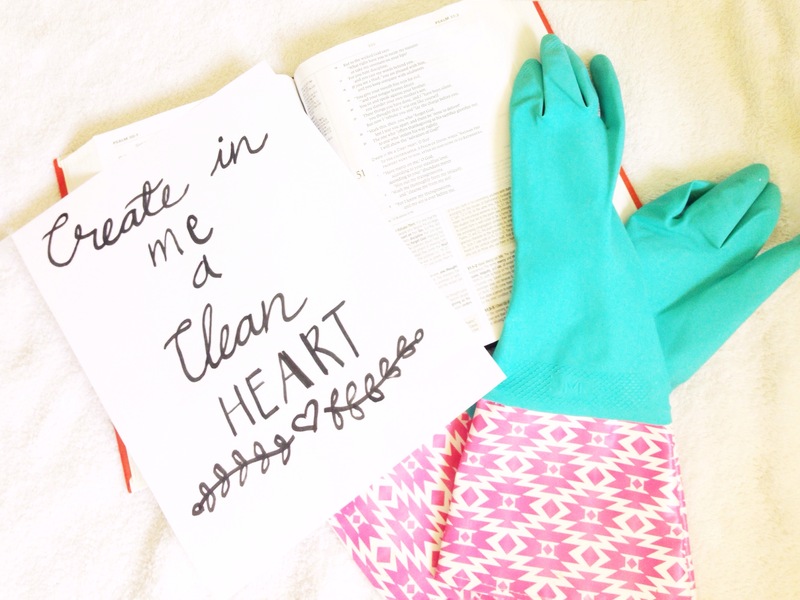 This is the last week of “Spring Cleaning for your Heart and Home” bible study! This week has the potential to be a powerful week of cleansing, especially for the heart. We will be studying one of the most well-known passages in scripture when it comes to confession and forgiveness of sin, Psalm 51. This psalm was written by David, after he had stolen another man’s wife and then arranged to have her husband killed. Wow. That sounds really bad, doesn’t it? Think about that for a few minutes. David was had just really screwed up his life. And where did he turn? To the Lord, where he knew he would receive mercy and cleansing. Where do you turn when you know you have screwed up? Do you cry out to the Lord like David did here? And when you do, do you really feel whiter than snow? Am I going to have high expectations for them? Yes. But I am going to continue to shake down every behavior to the heart of the matter. This is how our heavenly father parents us. He wants to get past the behavior, to our hearts. The past can’t be changed. But the heart can be cleansed. Our hearts can be cleansed. We can come to The Cleanser and let the power of his word and his blood wash away the shame and the guilt of the biggest screw ups. Wednesday: 9 Don’t keep looking at my sins. Thursday: 10 Create in me a clean heart, O God. Make David’s words your own heart’s cry. Commit to the house cleaning in the study book as well and by Friday we will be seeing and feeling RESTORATION! This is it ladies, the LAST week! Great post! And inspiration from one of my most favorite chapters in the Bible. I believe it should be a daily prayer.